QMailFilter is an easy-to-use Microsoft Office Outlook 97 to 2010 add-on designed to provide an advanced intelligent protection against spammers, viruses, unsolicited emails and dangerous HTML code (Web-bugs). QMailFilter uses Bayesian filtering technology that identifies about 99% of incoming spam messages and it contains one before-trained filter as basic data base and this trained filter identifies between 90-99% of incoming advertising emails. QMailFilter seamlessly integrates into the MS Outlook workspace, scanning and quarantining away junk emails; caught spam is placed in a special Spam and Virus folder under your inbox. QMailFilter supplied with before-trained filter (data base). The basic data bank contains characteristics from approx. 10,000 classified advertising emails as well as from 1,000 classified normal emails; altogether this data base contains a Spam dictionary with approximately 180,000 entries. For advertising senders it will thereby increasingly more difficulty to adapt its emails in such a way that these are not recognized and segregated by the receiver. QMailFilter enables users to run and manage their friends and enemies lists, build their own filters or set it to block any messages written in unsolicited emails. QMailFilter is universally applicable, both (free use) for the private user, and by integration in Outlook networks e.g. with OLfolders or an Exchange Server. MailScan 6.1 for Avirt is the world's first "Real-Time" eMail Scanner for the Avirt Mail Server. This server is published by Applied Technology Systems Ltd. The price mentioned is for single user. MailScan 6.1 for WinRoute is the world's first "Real-Time" e-mail scanner for the WinRoute Mail Server. This server is published by Kerio Technologies Inc.
Use global email traffic-analysis on Exchange 2013, 2010 and 2007, not word-filtering, to stop spam: because legitimate mail won't be near identical to millions of others worldwide - but spam will. MailScan 6.8a for LAN-Projekt WinProxy is the world's first "Real-Time" e-mail scanner for the WinProxy Mail Server. This server is published by LAN-Projekt. MailScan 6.8a for VOPMail is the world's first "Real-Time" e-mail scanner for the VOPMail Mail Server. This server is published by Vircom Inc.
MailScan 6.8a for MailMax is the world's first "Real-Time" e-mail scanner for MailMax Mail Server. This server is published by SmartMax Software Inc.
MailScan 6.8a for SpearMail is the world's first "Real-Time" e-mail scanner for SpearMail Mail Server. This server is published by Spearhead Infotech Systems, India. 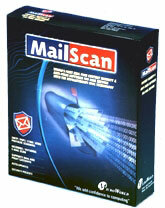 MailScan 6.8a for DMail/SurgeMAIL is the world's first "Real-Time" e-mail scanner for DMail/SurgeMAIL Mail Server. This server is published by NetWin Ltd.
MailScan 6.8a for IAMS is the world's first "Real-Time" e-mail scanner for Internet Anywhere Mail Server. This server is published by True North Software Inc.
Free application to defeat keyloggers. Works with any Windows application. Includes source code. This site does not contain serial number, crack, keygen QMailFilter serial number : serial number is the simplest type of crack. A serial number(cdkey,product key,etc) is register the program as you may already know. a crack or keygen may contain harmful software. If you cannot find the exact version you want, just give it a try. for more information read .nfo/.txt/.diz file include in zipped file.